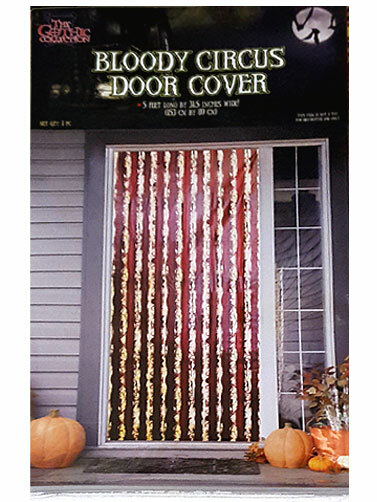 Our Bloody Circus Door Cover will look great in your Halloween carnival themed scene. 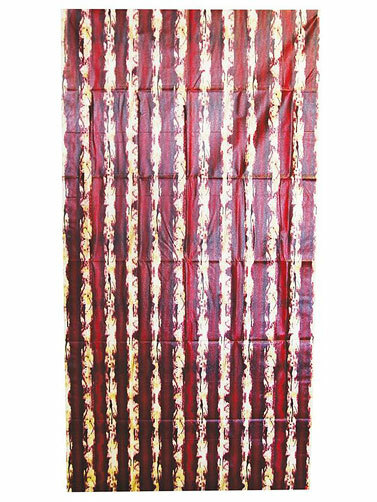 Plastic door cover features a tattered bloody stripe pattern with a glossy finish. that is easily cut to fit. Safe for outdoor displays. Hang with double-sided tape or sticky tack, sold separately. Bloody Circus Door Cover measures 5'L x 31.5"W.